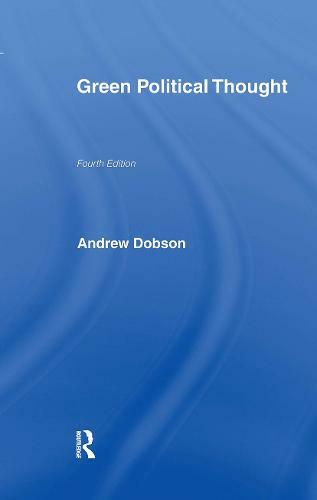 This highly acclaimed introduction to green political thought is now available in a new edition, having been fully revised and updated to take into account the areas which have grown in importance since the third edition was published. Andrew Dobson describes and assesses the political ideology of `ecologism', and compares this radical view of remedies for the environmental crisis with the `environmentalism' of mainstream politics. He examines the relationship between ecologism and other political ideologies, the philosophical basis of ecological thinking, the potential shape of a sustainable society, and the means at hand for achieving it. analysis of an intellectual and political 'anti-environment' backlash an account of sustainability in ecological thought the effect of globalization on ecologism ecological citizenship expanded bibliography. Green Political Thought remains the starting point for all students, academics and activists who want an introduction to green political theory.